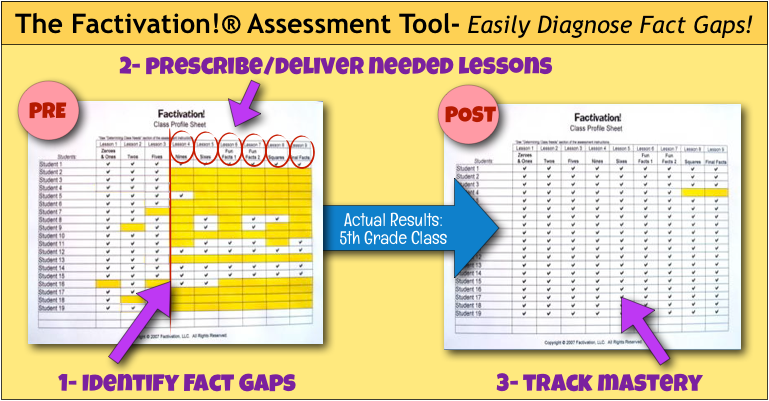 The Factivation!® Assessment Tool is simple to give and easy to score! 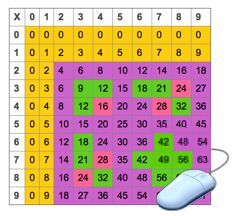 It allows teachers in upper grades to pinpoint exactly which facts students have not yet mastered and prescribe only the Factivation!® lessons needed to achieve mastery. For younger grades, this unique tool allows teachers to obtain a baseline from which to measure progress and provides documentation of learningwhich can be kept with student folders and/or shared with parents at conferences.